I was just shown a great slideshow on the Discover website showing Intelligent Design’s 8 Biggest Fails. It’s well worth taking a look. The site The Good News – A Magazine of Understanding advertises a free book titled Creation or Evolution: Does It Really Matter What You Believe? along with a free subscription to their magazine. On Pharyngula, PZ Myers recommended that his readers order a copy, read it, and thoroughly debunk it… because it surely will need debunking. The lead-in to the (rancid) meat of the article is priceless. How the theory of evolution evolved and how it has been defended is a story filled with irony, deceit and even religious-like faith held by nonreligious people. The claim is made that Darwin offered his “completely unproven theory that was in opposition to the Bible” because he wasn’t “well-grounded in the Scriptures.” The implication seems to be that being well-grounded in biblical scriptures will protect you from facts… shield you from evidence. Actually, in many cases, that seems to be true (as with any creationist). In holding to Darwin’s theory, some mistakenly think they are free from the rules and laws of a Creator and are free to decide for themselves what is right and wrong. That tired argument has been heard countless times by evolutionary biologists, atheists, and anyone who doesn’t kowtow to the creationist worldview. It’s absurd. The reason that the theory of evolution is accepted is because it’s based on overwhelming scientific evidence which leaves virtually no doubt as to its credibility. The idea of “I can get away with stuff” isn’t a factor. The introduction of Darwin’s theory opened up an all-out debate over truth. Ironically, Darwin’s supporters claimed that religion was just a humanly devised invention to help people during times of trouble. Ah yes. Humanly devisedâ€”as if the theory of evolution wasn’t . . . 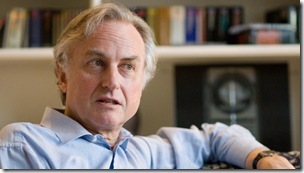 The difference between humanly devised religion and humanly devised theories are that the theories are based on observable, testable, natural evidence, while the religion is based on… nothing? Faith? Imagination? It may not seem to be a big difference to creationists, but it’s a huge, huge difference for anyone with a penchant toward rationality. At this point, the article starts to present its antiquated information to show how evolution is a weak theory which scientists no longer accept. 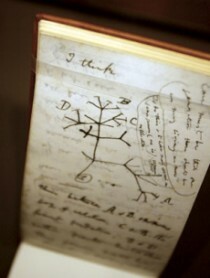 The claim that Darwin had doubts about his theory (sorry, his “hypothesis”), had some problems explaining some things like the human eye, and acknowledged that the fossil record didn’t show what he was proposing show that Treybig isn’t interested in the evidence discovered in the past 150 years that backs up almost every point Darwin made in his theory of evolution (by natural selection). It’s no surprise that Darwin had more doubts about his theory than today’s scientists have. We have a mind-boggling amount of evidence for evolution that Darwin never did. But Treybig goes further and enters the realm of misinformation. Yet under the microscope of inspection, scientists and competent thinkers have jointly discovered serious flaws with Darwin’s theory. 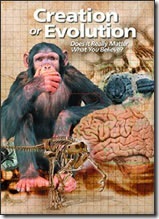 A number of the theory’s supposed proofs have been found inadequate (see “Myths of Evolution Part 2“). The claim that scientists and “competent thinkers” have decided that evolution is flawed and the evidence is inadequate is preposterous, disingenuous, and dishonest. Following the link in the previous quote leads to an article with blatantly incorrect information. Whether the misinformation is accidental or by design, I can’t say, but to write about a topic and get the facts so monstrously wrong smells of either deceit or willful ignorance… perhaps both. Treybig continues his shenanigans with claims that Darwinian evolution has no valid evidence and… well, here’s what he says. With no valid evidence to prove Darwinian evolution and mounting scientific evidence against it, supporters of evolution find themselves increasingly challenged to maintain their faith. It’s an awkward position demanding unquestioning adherence. More nonsense about the lack of evidence is stated along with the absurd proposition that there must be “unquestioning adherence” to keep the theory alive. As if Treybig weren’t far enough off the deep end at this point, he starts to talk about intelligent design as if it were an actual science with actual evidence and an actual scientific theory. I’m not even going to continue the quote (it goes on to say that ID isn’t based on religion, but is based on scientific evidence) because it’s drivel of the worse degree. Intelligent design is creationism, pure and simple. Not only is it creationism, but it has no evidence. It claims no testable hypothesis. It offers nothing in the way of understanding how the natural world works. It contributes nothing to the world of science. It hinders science by muddling the public understanding of both evolution and the scientific method. Ironically again, these days it seems to take more faith to believe in Darwinism than it does to believe in the Creator God of the Bible. No. No it doesn’t. When given a choice between accepting something for which there is a huge, growing body of evidence versus accepting something for which there is no evidence… I’ll take the choice supported by evidence without having to use much faith at all… if any. Next, Treybig starts talking about Stalin and Hitler and “materialistic worldviews” as consequences of “the Darwin bomb’s blast wave” as if the theory of evolution was responsible for the atrocities committed by these men. It’s been debunked many, many times before, and again Treybig is showing his use of both antiquated and misleading information. Is the killing of millions of people the outcome Charles Darwin desired in writing The Origin of Species? Of course not. But the collateral damage associated with Darwinism doesn’t end with Stalin and Hitler. It has continued its relentless march through numerous fields with perhaps none more striking than that of moral conduct. So he’s saying that it’s not the theory directly, but it’s collateral damage of the theory… the theory of evolution by natural selection didn’t cause Stalin and Hitler to commit atrocities, but they committed them because of the theory of evolution by natural selection. I’m not sure if I understand the difference in Treybig’s assertion. But he mentions moral conduct, which set me up to expect that he was going to say something entirely absurd, ideological, and unsupported by evidence. He delivers. If people are simply animals, as Darwin suggested, there is nothing wrong with them mating with whomever they wish whenever they wish. Disregarding biblical instructions governing our sexual conduct has led to the destruction of numerous families and untold heartache. Chalk it up to collateral damage. Furthermore, if people are simply animals, then it really doesn’t matter if a woman chooses to have an abortion or not. With this mind-set, millions of babies have been aborted before they ever drew their first breaths. More collateral damage. Disregarding biblical instructions… I wonder to which instructions Treybig is referring. He doesn’t specify, but the bible is filled with “instructions” for all kinds of things and it’s fairly easy for someone familiar with the bible to come up with “instructions” supporting many different positions. As for abortion, Treybig chooses the phrase “babies have been aborted” instead of “fetuses” or “zygotes” or “pregnancies” because it adds to the inflammatory nature of the statement, conjuring up images of gurgling, cooing infants with sparkling blue eyes wrapped up in cozy baby blankets. Regardless of his rhetoric, to make the claim that Darwin’s theory of evolution is responsible for the destruction of families or for abortions is a paltry attempt to discredit the theory through an emotional appeal. The claim has got no basis in fact, but is (as expected on a religious website) purely and undeniably based on a fundamentalist religious mindset which gets its “evidence” from a 2,000-year-old book of woo.